Place olive oil and garlic in a pan and heat. Add the sausage to skillet and cook on medium heat until golden brown on both sides. Remove the sausage from the skillet. Start boiling water with salt; add spaghetti to boiling water and cook until al dente. Take the cans of plum tomatoes and crush them in a blender one can at a time. Add tomatoes to the skillet that the sausage was in and cook until tomatoes come to a boil. Season tomato sauce with fresh chopped basil, Italian parsley, salt, and crushed pepper (to taste). Take the sausage and slice in 2 inch strips. Add to tomato sauce and allow to cook for an additional 20 minutes. Start cooking pasta. Add two ladles of spaghetti water to tomato sauce. Drain spaghetti and place back in pot. 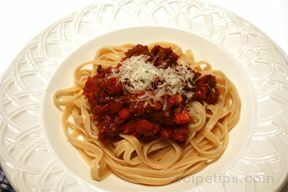 Add tomato sauce to spaghetti and stir until completely covered in sauce. 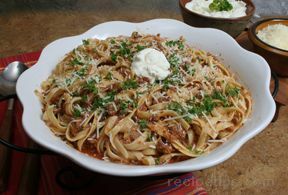 Start serving spaghetti in bowls adding additional sauce and sausage to each bowl.